My kids are big fans of anything that erupts, explodes, fizzes, or bubbles. That makes the volcano science experiment a must try for us. 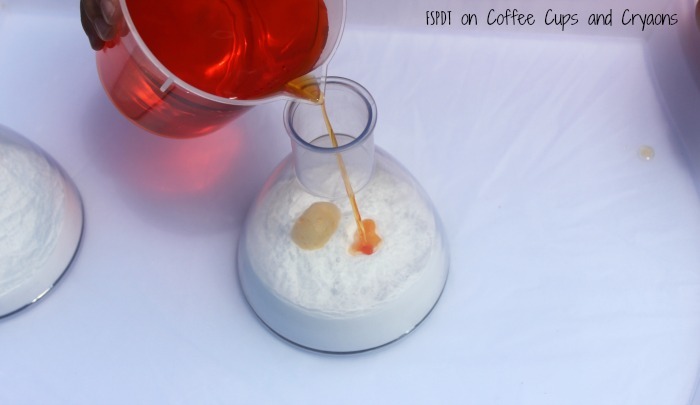 We have tried several baking soda experiments but have yet to try the classic volcano experiment. I grabbed some supplies from our science kit and a few things from the pantry and we were ready to start erupting volcanoes of our own. Not sure who was more excited, me or the kids–we could not wait to get started! 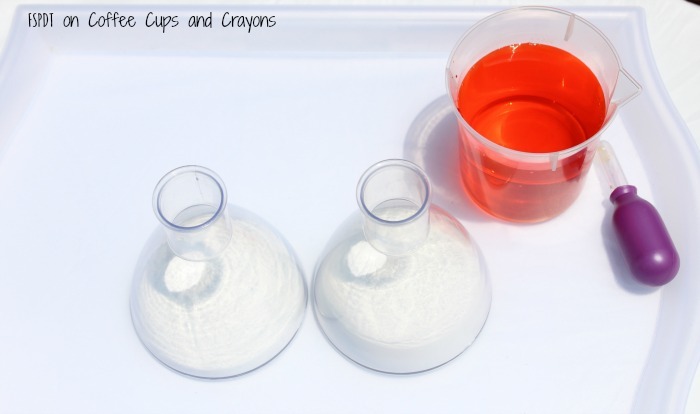 Fill 2 beakers about halfway full with baking soda and pour white vinegar into a plastic cup. Make it orange by adding red and yellow (or orange) food coloring. Set everything on a plastic tray to try and help with the overflow and get ready to experiment. Simple science is a great way to get kids thinking. Let them make predictions about what they think will happen before you start the experiment. My oldest child always tells me his observations during an experiment. He also likes to come up with his own way of trying things too. Once the kids made predictions they poured the vinegar into the beakers filled with baking soda. At first they did not pour enough vinegar in the beaker and we only saw a little foaming and bubbles. Next they poured more vinegar in and we got big erupting reactions! This is an acid-base reaction. Baking soda is a bicarbonate and vinegar is an acetic acid. Carbon dioxide is a product of this reaction and makes the foamy bubbles. 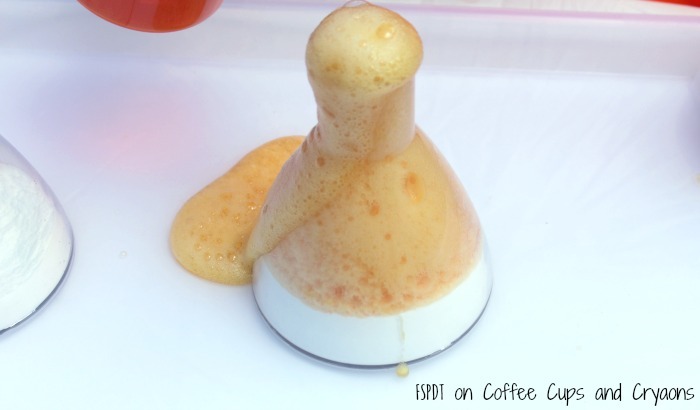 This experiment is a great way to explain to kids that when a volcano’s pressure builds up too much it erupts. The eruption is either hot ash or molten lava. The kids were able to pour more baking soda in the beakers a few times before they stopped getting the big reaction. 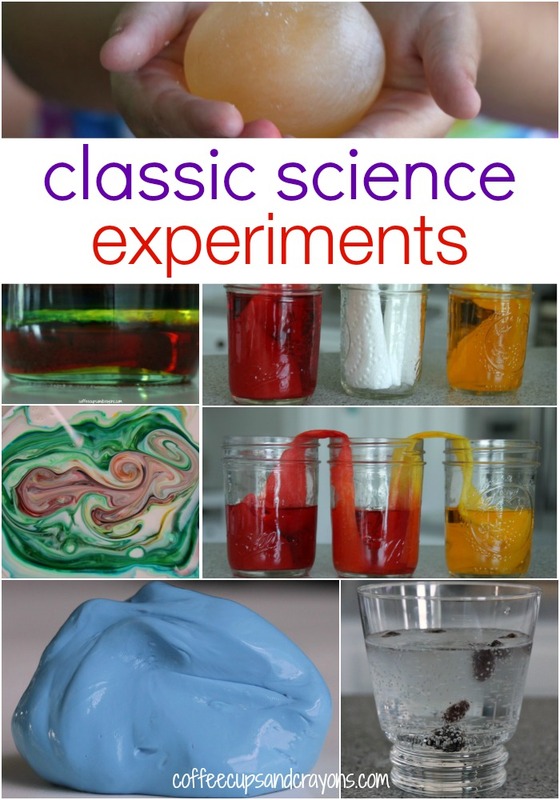 My kids then went on to experiment more and had lots of fun playing with the baking soda and vinegar. 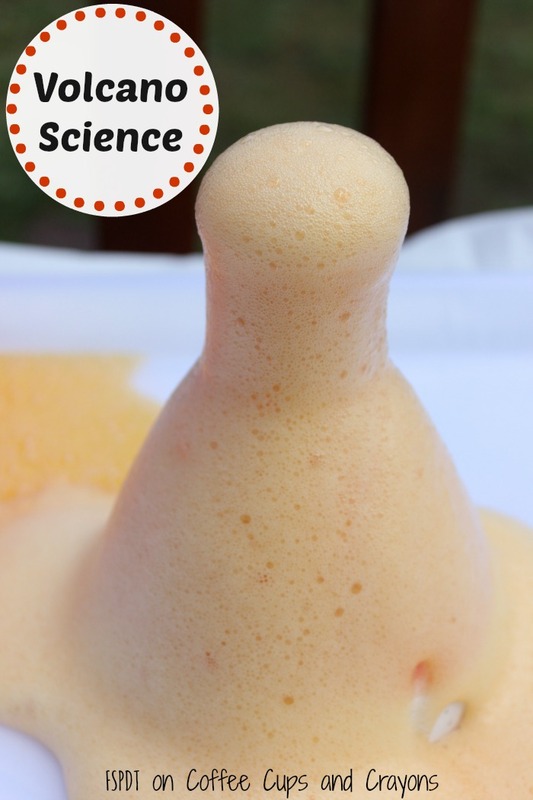 We look forward to more simple science experiments that erupt, bubble, and foam soon. 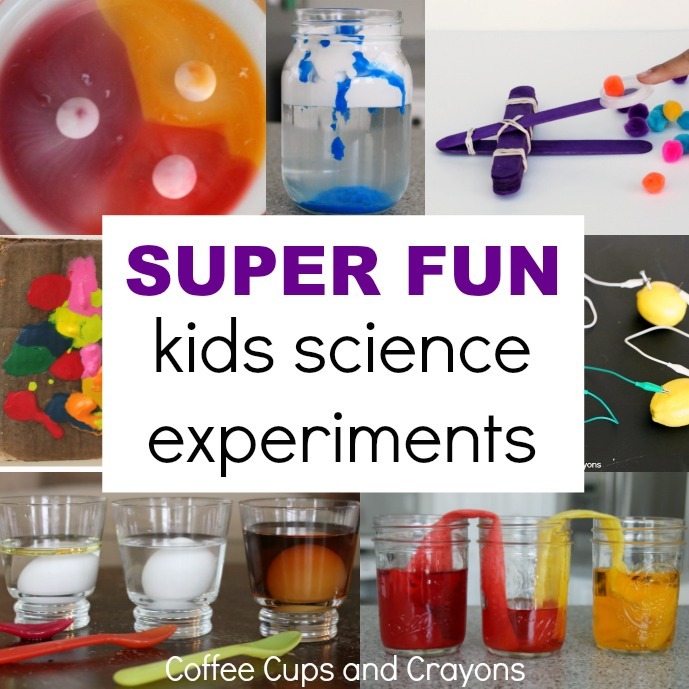 For even more science fun try these Classic Science Experiments for Kids! A beaker has a wide opening. The container with a small opening is a flask.